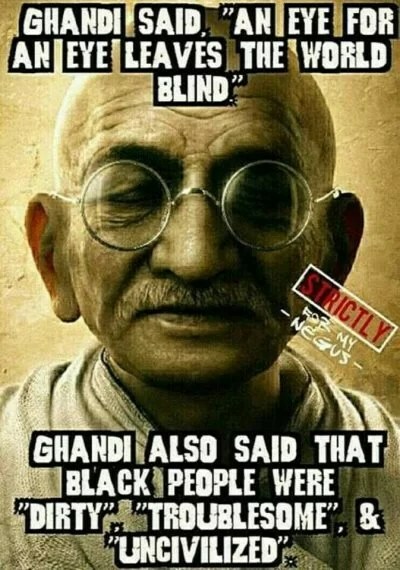 Mahatma Ghandi was a notorious racist against Africans. 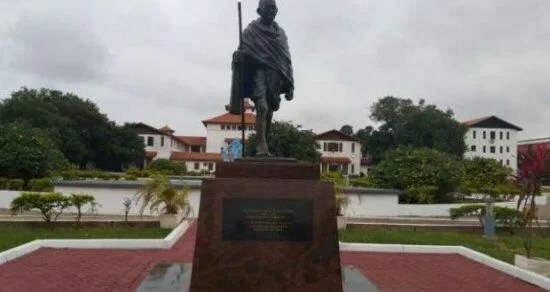 AFRICANGLOBE – A former Director of the Institute of African Studies, Professor Akosua Adomako Ampofo, has started a campaign asking for the removal of the statue of Indian independence icon, Mahatma Ghandi, from the University of Ghana campus. 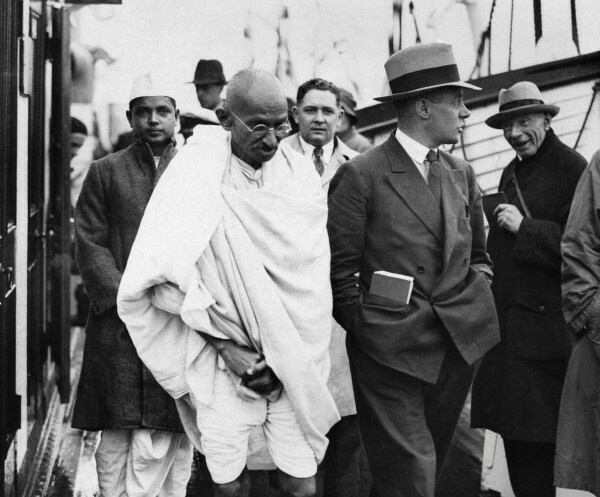 Prof Adomako Ampofo is urging members of the University of Ghana Council to heed her petition arguing among other things that, Ghandi was racist against Black people and honoring him set the wrong example for students. In June 2016, the statue of Ghandi was erected on the University campus to the dismay of some members of the university community aware of the apparent racist overtones Ghandi exuded. “A general belief seems to prevail in the Colony that the Indians are little better, if at all, than savages or the Natives of Africa. Even the children are taught to believe in that manner, with the result that the Indian is being dragged down to the position of a raw Kaffir. It should be noted that, the word Kaffir, is a derogatory term for Black people with roots in Apartheid era of South African history. The petition also contended that, if the University of Ghana sought to be a world class university, it should not be seen to be honoring former bastions of slavery, apartheid and white supremacy. In other high profile universities, symbols edifying persons associated with controversial stances like white supremacy have been removed. 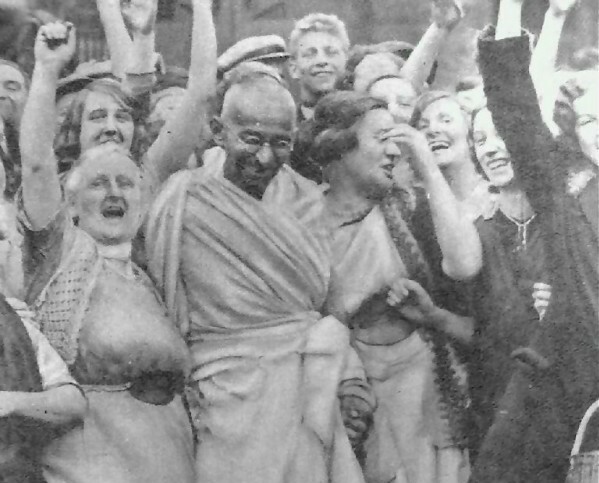 We the undersigned bring this petition for the removal of the statute of Gandhi to the esteemed Council of the University of Ghana Council for your consideration. On 14 June 2016 a statue of Mohandas Karamchand Gandhi  was erected at the Sam Aboah quadrangle[DOK1] . This is the only statue of an historical personality on Legon campus, and soon after it came to the notice of members of the University community and the general public, calls for its removal began within the University community and beyond. We, the undersigned associate ourselves with that call for the reasons outlined below. Below we provide just a few citations from his own writings to illustrate this. 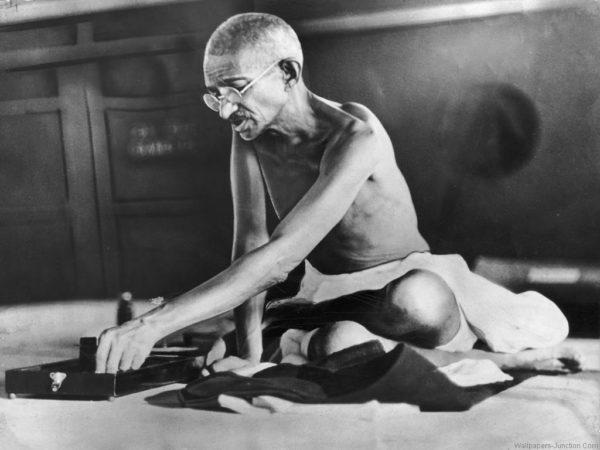 Gandhi also campaigned against the efforts of the Dalits, The Black “Untouchables” of India, and for the maintenance of the caste system right up to his death. Campaigners urge removal of Indian social activist’s statue from university, saying he was racist towards black people. Lecturers and students began campaigning for the Indian nationalist leader’s statue to be removed shortly after it was installed. 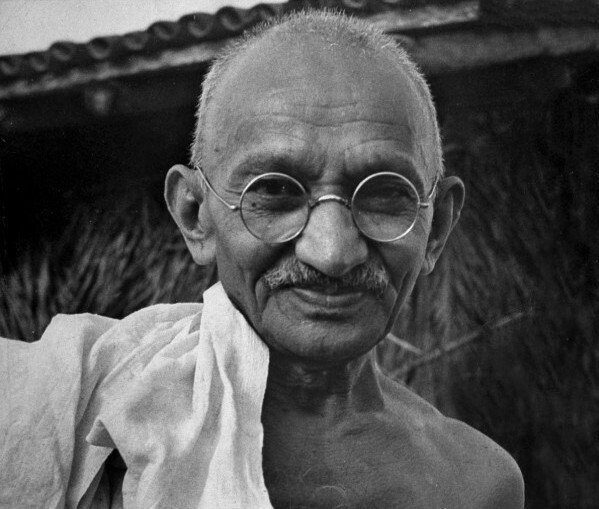 All quotes are direct quotations from The Collected Works of Mahatma Gandhi. 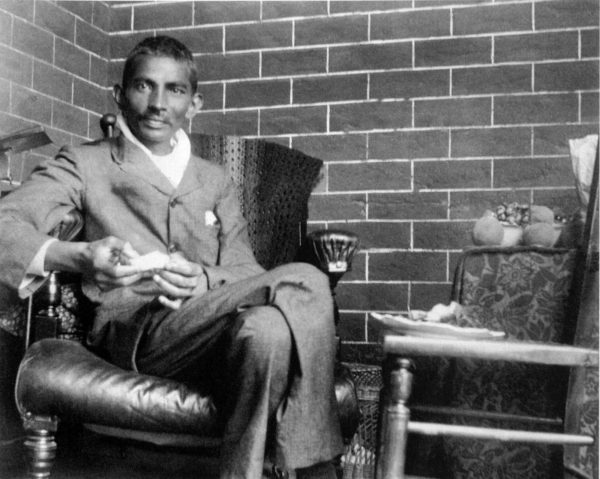 They are taken from his writings and statements during the years he spent working as an attorney in South Africa, before he went back to India in 1915 to fight for independence. Note: “Kaffir” is an offensive term in South Africa considered on par with “n*gger” in the U.S., though in Gandhi’s time some historians claim it was considered more neutral. Even a Kaffir Policeman Can Accost Indians? To suggest that races might possess slightly different temperamental, cognitive, and other psychological traits, and that some of these differences are partly genetic in origin, is to violate a powerful — perhaps the most powerful — academic taboo. The incendiary nature of the subject seems to flow largely from the fear that discussing biological group differences will foster racial prejudice among the general public. Indeed, people bent on quantifying human worth have erected racial hierarchies, propped them up with pseudo-scientific theories and folk understandings about group differences, and conscripted them into service towards reprehensible ends. History, in places, is a wasteland of tragedy when it comes to the treatment of minority individuals. Yet, the reprehensible treatment of minority groups currently, or in the past, does not constitute empirical evidence that race is a fiction, or that differences in the psychological constitutions across racial groups are purely environmental in origin. It is true that assertions about group differences can be motivated by malice. But group differences either exist, or don’t, regardless of whatever motivations are in place to seek them out. In the parlance of scientists, “it’s an empirical question” whether groups differ, on average. It might even surprise us which direction these differences take. For example, many in the media focus on black/white differences in outcomes and infer that all of them result from racism, or “structural oppression.” But they often (deliberately?) omit the fact that Americans from South and East Asia perform better on a variety of metrics than other groups. Asian Americans have slightly higher SAT scores and higher incomes than Americans of European descent. And in every country in which they are represented, Ashkenazi Jews are disproportionately productive, innovative, and creative. Is it plausible to argue that such statements about Jews or Asians are racist? Hardly. In fact, failure to acknowledge the possibility of genetic differences in intelligence has led some to search for bizarre explanations of Jewish success, like supernatural sorcery or global conspiracies. Many academics deny that races exist at all, thus sidestepping any need to think critically about the causes of group differences. The basic idea is that these categories have been used (and in some places continue to be used) as socially constructed tools of oppression. So, the argument goes, acknowledging biological differences between groups like races (or sexes) should be rejected outright because of the bad consequences it might produce. Pause momentarily, though, and consider whether it would really even matter to you, in your daily life, what caused the differences between groups — genetics, environments, or some combination of the two? Would that knowledge inform, or should it inform, how you treat the neighbor who lives beside you? If to avoid being a racist, one has to maintain that all groups are the same (or that differences only emerge from one or two socially acceptable causes), then we are going to have to spend a great deal of time lying to ourselves and ignoring the world we confront every day. None of this diminishes the fact that racism is real, and that it has an ugly history. But many people, especially intellectuals, go to elaborate lengths to explain every possible difference between groups by appealing to a discriminatory culture. If the outcome is different, one group must be oppressing the other group. Maybe they’re right, but that should be settled by investigation rather than by assumption. So, What is Racism and Who Are the Racists? If believing in the reality of race, or the existence of race differences, is not equivalent to racism, then what is? The issue seems to have everything to do with the worth placed on individuals. If an individual is assigned more or less worth depending only on the racial group they identify with (or are identified with by outsiders), that is racism. By using this definition, we avoid the worries about both group differences and race differences. Group differences will either exist, or not, and they’ll be caused in part – or not at all – by biological factors, and none of that will alter the worth of the individual in question. The case for moral equality and individual dignity does not rest on genetic or ancestral identity. It rests on compassion and a desire to judge an individual by the “content of his or her character” rather than the various groups to which they belong. We are not arguing that racism has vanished, or that racists don’t exist. We’re making precisely the opposite argument. There are racists out in the world. They assign the same level of worth to everyone from a given group. Our search for cultural tumors must be constrained. If everything is cancer, then nothing is. 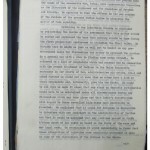 ‘Private and secret’ memo in the South African diplomatic archives reveals an astonishing proposal that India made in 1949. 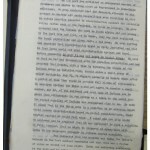 My eyes lit up as I scanned through this document at the National Archives in Pretoria. Until then, most books on India-South Africa relations (there aren’t too many) that detail these early years of independence had given me, page after page, a story of massive confrontation – almost mythical in proportion – between India and South Africa in the late-1940s at the UN. So quite naturally, an informal dinner meeting between two top UN diplomats of countries that were at each other’s throats excited me. But as I read on, the excitement turned into bewilderment for Rau had proposed a casteist solution to a racist problem, alerting me to an issue that has been almost singularly stripped from any narratives of Indian foreign policy – caste. One of the reasons B.R. Ambedkar had cited in his resignation from Jawaharlal Nehru’s cabinet in October 1951 was his exclusion from decision making on foreign policy. In the first couple of decades of India’s independence, the Indian foreign service (IFS) was the most elite of all civil services (which, as a joke went, suffered from Menon-gitis). But beyond the (Brahmin) men (in the first 10 years of recruitment into the IFS, only three out of 62 selections were women), how did casteist ideas filter into foreign policy discourse? In general, what role do caste dynamics play in the formulation of foreign policy? We have never known, because foreign policy as a matter of ‘national interest’ is deemed above domestic squabbles, such as caste. Yet, the fact is, diplomacy is carried out by diplomats, and their social milieu influences not only their views about what constitutes ‘national interest’, but also who constitutes the ‘nation’. No study has ever been done on this, but perhaps this document will prove a valuable entry point. Let us return to our tale then. Less than three years earlier, from October to December 1946, the Indian delegation to the UN, led by Vijayalakshmi Pandit, had carried out a diplomatic David vs Goliath with perhaps the most respected statesman of the world then – Jan Smuts. The man who had “inserted human rights” into the preamble of the UN Charter left New York with “the honour, the power and the glory, all vanished,” wrote a sympathetic biographer, due to an “avalanche of condemnation” heaped on him by the Indian delegation on the question of human rights. Most prominent of these was Pandit herself, who called Smuts out for his hypocrisy on the treatment of Indians in South Africa. On December 8, soon after an impassioned speech from Pandit, who, with a tear rolling down her eye, had appealed to “the conscience of the World Assembly,” India secured a two-thirds majority on its resolution against South Africa. India’s diplomatic assault had left Smuts to rue: “I am suspected of being a hypocrite because I can be quoted on both sides”. By sheer force of conviction, India had placed the issue of racism on the UN agenda. By late-1949, through a continued strategy of shaming South Africa at the UN, India had been able to secure a preliminary roundtable for talks with Pretoria. Perhaps to create a positive environment for talks, in September 1949 Rau deliberately used a milder tone in his opening statement on South Africa’s treatment of Indians, and let his counterpart, Jooste, know that his statement “may be regarded as a compromise”. 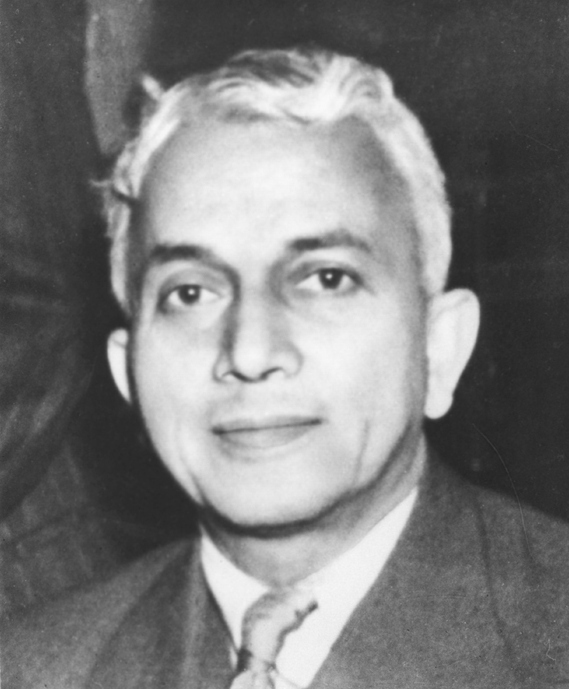 A former Indian civil servant who also played a key role in drafting India’s constitution, Rau was India’s permanent representative to the UN. Known as ‘the saint of the United Nations’, he along with Nasrollah Entezam of Iran and Lester Pearson of Canada, formed the ‘Three Wise Men’ group at the UN in those early years. Under Rau, the Indian delegation was once described by Alastair Cooke as “messengers of peace casting sweetness and light around” in The Times. Rau sought Jooste out for an informal dinner meeting, at the behest of the Indian government, and Jooste was told by Pretoria “to be most careful literally to say more or less what is proposed”. 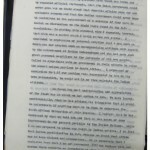 In the meeting, Jooste, accompanied by his deputy J. Jordaan, kept to his brief, detailing South Africa’s position on the issue. Rau, however, let his tongue fly. Showing a rather “unexpected measure of frankness,” Rau began with confessing, Jooste noted, that ‘the feverish attempts in his country to destroy all caste inequalities were resulting in what in actual practice amounted to discrimination against the erstwhile ruling castes such as the Brahmins, to which he belongs’. Interestingly, this confession came just over a month before the pro-caste equality draft of the Indian constitution was introduced in the constituent assembly. In introducing the draft constitution, ironically, Ambedkar went on to specially credit Rau for his sterling work in preparing the draft. Going further, Rau stated that “Indians who went to South Africa did not belong to the best type and that, as in Burma, they may have exploited the local population and given India a bad name”. He added that the way the South African government treated them “might be fully justified and that in fact India would not mind discrimination against our local Indian community if only it was not based on racial lines”. In his earlier discussions with Canadian authorities, Rau stated, he had proposed that Canada should allow “a small group of select nationals, say 20, to migrate to Canada where after a period of time they would be granted full rights of citizenship”. 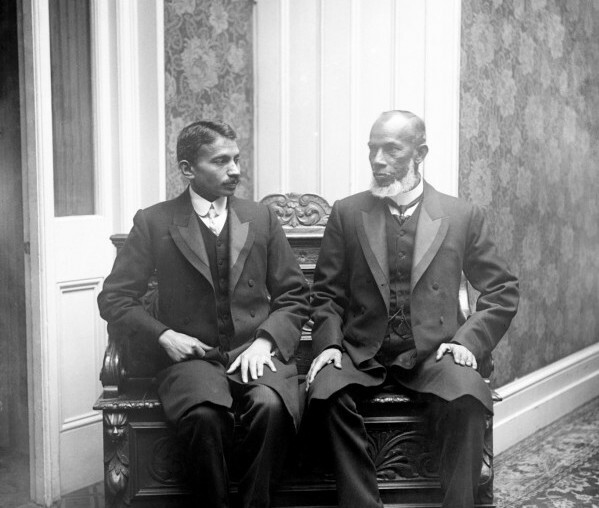 (Indian diplomats had indeed made such a suggestion to the Canadians, but the figure was 200) Based on this precedent, Rau enquired whether a similar proposal of citizenship to “a small number, say 10, of the cultured and best type of Indians” could work for South Africa “as a token to the world that the racial equality of Indians was recognised” by that country. It is clear from the contextual reference to Rau’s lament about “discrimination against erstwhile ruling castes like Brahmins” that his euphemistic reference to Indians of the “best type” was really a proxy for the upper castes. 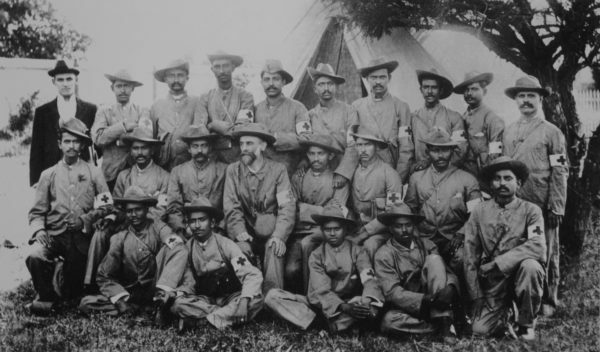 Effectively, what Rau had proposed was that if a small number of upper caste Indians were admitted as equal citizens in South Africa, this would in principle mean that there was no racial discrimination against Indians and give South Africa a way out in rechristening racism as a form of minority protection. 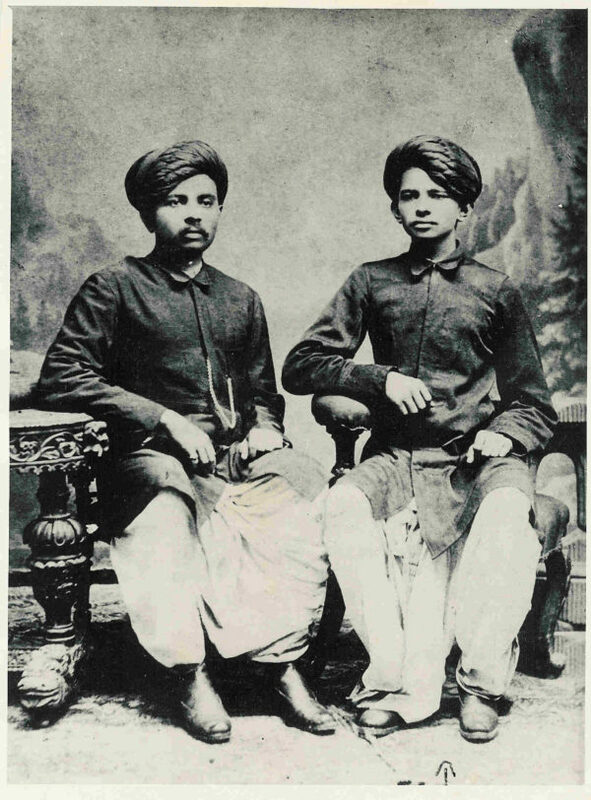 Rau’s argument was based on the premise that upper caste Indians constituted the Indian nation in its best form, and thus only they were its true representatives. 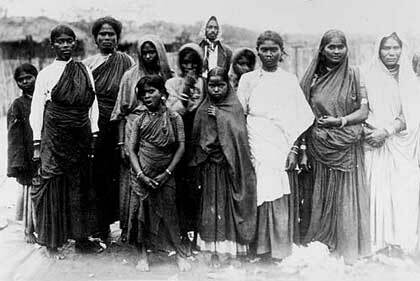 Lower caste Indians were, in short, not Indian enough, and hence how they were treated did not matter. Rau assured Jooste that as soon as South Africa did anything to “remove discrimination based on racial considerations,” India would end its opposition to the country. He further added that India was acting as a “bulwark … against Communism in the East” and had taken a leadership position, and hence, “could not accept the position of being the inferior race,” and the South African application of the racial criteria was “playing into the hands of the communists who, today, were representing themselves as the liberators of the oppressed and the champions of freedom and liberty”. The reaction from Pretoria to this memo was cautious. They refused to entertain the idea of making caste-based, and not race-based, distinctions. Ironically, year after year, it was apartheid South Africa that highlighted, at the UN, India’s hypocrisy on racial issues by deeming casteism as a form of racism. 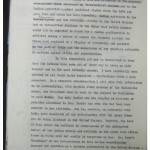 So, how does a historian of India’s foreign policy read this particular memo written by Jooste? One standard requirement would be to find out what Rau had to say about this conversation in his missives to Nehru or the Ministry of External Affairs. Such a letter doesn’t exist in Rau’s papers at the Nehru Memorial Museum Library, neither can one find anything in the National Archives. Short of conclusive proof, we are forced to ask the next best question: how much does one trust the authenticity of another person’s account? If it is a ‘private and secret’ memo of an external affairs department that is crucial in formulating foreign policy, there is a strong case for believing that this conversation actually happened in this form. Or perhaps Rau was bluffing the South Africans to get a desired deal. 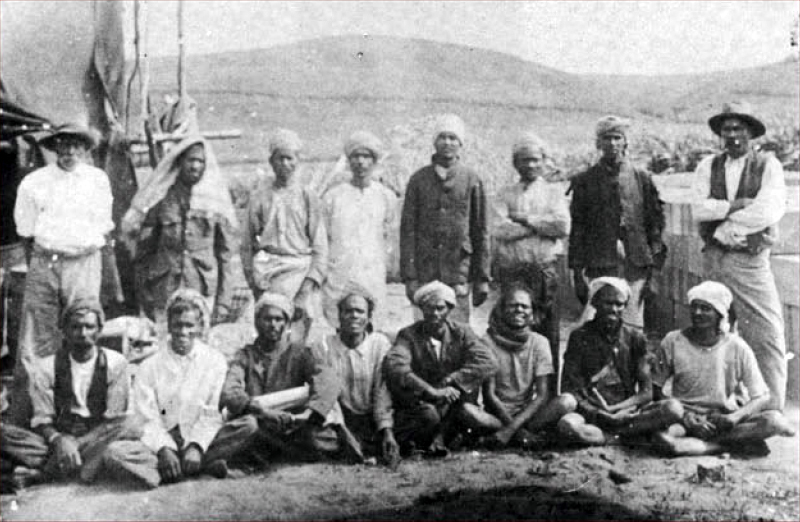 We would never know for sure, although such a proposal of entry of just 10 Indians would almost certainly not work, given the strong struggle South African Indians were then waging within that country. Rau, though, had either misquoted or purposely brought down the numbers in the Canadian case from 200 to 20, possibly to make it more acceptable to South Africans. 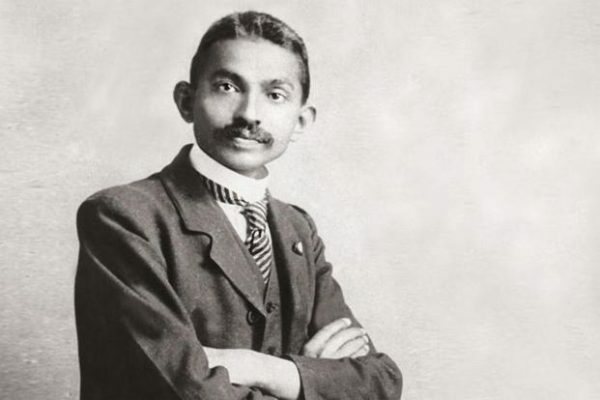 The ‘small number’ argument had, in fact, also been used by Gandhi in his struggles in South Africa where he had asked for six Indians to be allowed to enter the Transvaal district, as an in principle acceptance of Indians as racially equals to Europeans. But Rau’s emphasis on ‘select nationals’ chosen from the ‘best type’ clearly referred to allowing only upper caste Indians, in order to sideline the racial argument. 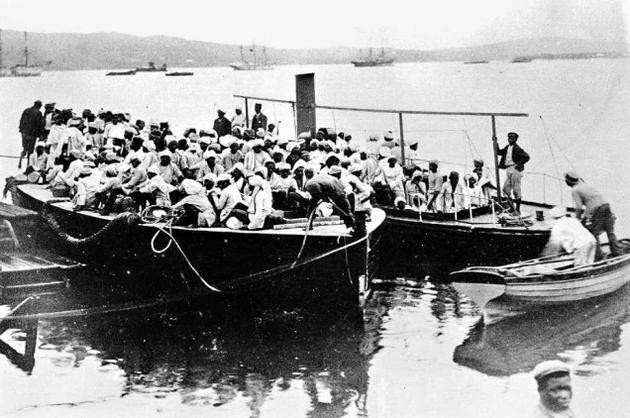 Although India’s argument on racial discrimination at the UN was only limited to discrimination faced by Indians – not Africans – in South Arica until 1952, it was broadly justified by arguing that including Africans would step on South Africa’s sovereignty and thus strategically weaken India’s anti-racial struggle. But Rau’s suggestions, clearly, don’t help in using that explanation either, since he believed that racial discrimination in general could continue as long as it didn’t ‘look’ racial towards Indians. This, of course, gives credence to the argument that India’s anti-racism has always had limited sympathy with Africans, and thus is often hypocritical. But Rau’s diplomacy reveals something more: that Indian diplomacy has also, in ways subtler than stark, used casteist framings. And accordingly, while caste has, justifiably, been scaled up as an issue of national importance, recently its remnants need to be exposed even in the most sacred of our institutions. Foreign policy is certainly one. Vineet Thakur is a postdoctoral research fellow at the University of Johannesburg. Two important aspects related to the theoretical positioning of the book need brief comments. One relates to the scale of technology; and two, the scale of history and history writing. On the first: the book makes a very pertinent claim that “Technology did not need to be big to be significant, audible, visible, and everyday” (10). Arnold claims that much of the existing historiography in South Asia has remained focussed on railways, irrigation (and very recently on telegraph) as main technological movers of the nineteenth century. Against this, he presents his justification of studying “everyday technologies” because “they frequently possessed an intimacy, a companionable association with family life and domestic existence, which bigger machines lacked” (11-12). Arnold rightly observes that the little that exists on the history of technology, which includes his own earlier works, has remained focussed on big-scale technology. They explore the big politics of imperialism, nationalism and capitalism. There is, therefore, a need to look at small-scale technologies. However, intimacies, domesticities, and other such quotidian markers/formations are not necessarily a function of the scale of technologies. If a group of girls riding on bicycles sang away, quite literally, their free-spirited pedalling across the serene landscape as one towards love and freedom which no one should try to stop (the famous song main chali, main chali from the movie Padosan, 1968) then almost two decades earlier a song picturised in a railway carriage amusingly chronicled the enactment of some other everyday practices such as sleeping, playing cards and not least eating (the song rail mein jiya mora from the movie Ankhen, 1950). Further, Bhojpuri folksongs from the early twentieth century on railways and steamships (the big technologies) very vividly depicted the intimate everyday relationship around conjugality, family life, and domestic existence (or lack of it). The argument that technology did not need to be big to be significant is absolutely valid, but equally true (and I assume Arnold will agree as he himself uses Nirad Chaudhuri’s reminiscences of the sound of steamers, pp17-18) is that the ‘everyday’ does not need to be necessarily located in something that is plebeian, subaltern, and small. Everyday is not a function of scale. Railways and sewing machines were both part of the same everyday – at individual and social levels. And the colonialists/corporatists displayed the same kind of prejudices in relation to both: as Singer agents thought Indians incapable to use their machines, so did the agents of railway companies a few decades earlier. If Singer claimed to have helped Indians move towards better civilization, so did the power of steam. Influenced by the ‘social construction of technology’ theory (SCOT), Arnold’s second theoretical intervention is to rescue the social history of these technologies, which were all imported in their provenance, from an instrumental relationship of transfer and diffusion from the West to the East. This relates to the scale of history and history writing in which he admits of not looking at the technical make-up of the machine, but in exploring how they became part of the social and political processes of change in specific localities; how in India they became carriers as well as sites of issues such as race, class and gender (12). All technologies and commodities covered in this study were global in their reach and introduced in India largely but not exclusively through the network of imperialism, but their ‘creative appropriation’ in different settings gave them context-specific meanings. It is the context of the social which is at the heart of this book, which ties the global, the imperial and the local in an un-formulaic way. Given the ascendancy of formulaic ways of doing global history through connections and comparisons, I find this approach of not letting the ‘social’ go adrift refreshingly important (see the brief comment on 38). Once again, it must be stated that the cultural adaptation of technology is not specific to small or big. The foreignness of these technologies invariably leads Arnold to raise the question of their relation with colonial state power. Most of the big and small technologies were thought of first serving the state power. He says, unlike western societies where commerce, industry, and civil society played a more dominant role in fashioning technological modernity, in India the colonial state remained the leading user and publicist of these technologies (148). Bicycles were distributed to help policing, typewriters in government offices and courts to speed up administrative work and efficiency, cars and telephones to speed up the movement of administrative personnel and information. The state was not the producer; in fact, within the ironic relationship between imperial protectionism and laissez-faire, American products (Singer sewing machines, Remington typewriters and Ford automobiles) dominated the Indian market. But the state significantly benefitted from this. These technologies strengthened the ‘inner life of the state’. And they did so in phases. During the Second World War, for instance, the expansionary nature of the state in terms of being able to regulate the usages of these technologies was quite marked. Yet this is only one part of the story. The social and political re-calibration of these technologies to either subvert the state power or to question the existing social identity was equally important and forceful, which Arnold lucidly demonstrates. Women working for communist organisations and low-caste villagers using bicycles, typewriters used for disseminating anti-colonial nationalist aspirations – they all point at colonial control that was leaky if not absent. They all show that the life of technology was beyond the simplistic control of the state. They all indicate that different social groups used these technologies to articulate the idea of modernity and modern self-hood. What are the axes and scope of this technological modernity? Exploration of race, gender and class is obviously one way of knowing the nature of this modernity, which this book like many others especially on a colonial society, does. Numbers definitely are not on the side of showing the ‘quantitative’ axes of this modernity. In spite of the rapidity with which these commodities became part of Indian life, they were still used rather sparsely if compared with figures of other countries. Arnold is aware of this dilemma and hence the way out for him is to underscore the social, experiential and utopian articulations of this modernity. The mix of social life captured through visuals, literary works and films is interesting. The articulation of this modernity is tied to the manifold effects these different technologies produced on diverse social groups and classes. Moving beyond the state and the enterprising initiatives of some Indians selling, part manufacturing, repairing, and assembling these products, Arnold leads us into the world of users and consumers. Did new technology such as sewing machines and typewriters require new skills? Who were the people that moved in to operate them? Did they lead to displacement of existing groups and skills? One gets glimpses of answers into these questions. Bicycles empowered rural folk and elite women; typewriters mainly remained within the confines of Anglo-Indian women in offices and scribal Indian men outside the courts; rice mills took away the work of poor women; and sewing machines tapped into the existing skills of darzis, but also became part of the reformist discourse on ‘new women/new domesticity’ of the late nineteenth century. The last enlarged the scope of domestic work for women. Yet, many of the answers to the question of modernity are just about at the exploratory level. Bicycle races fitted into the notion of Bengali manliness, but did it also contribute to the emergence of a new sensibility and aesthetics of landscape, space and movement, and if yes, how? Did the new modernity based upon widespread use of sewing machines create a new culture of mass production and consumption? Was it linked to, if any, the emergence of new ‘modern’ fashion? How did the earlier individualized notion of work which darzis performed on the veranda of their masters/employers in the eighteenth and nineteenth centuries transform into a shop based work culture of the later period, in which these people were not the owners of their tools? Did technological modernity bring alienation and firmer labour control? Passages from literary sources on sewing machines (141-42), and work-related changes brought about by rice mills (134-40), are illuminating sections. Typewriters brought bureaucratic utility and speed; it “transformed bureaucratic work regimes”; transformed the “ways in which novelists, journalists, politicians, and administrators pursued their daily work”, but exactly how is not clear (56-7). I would imagine for a long time the typewriter functioned as a ‘copying machine’ producing the ‘fair’ and ‘official’ version of hand-written letters, petitions, judgements, news, and even academic theses. In fact, this was true for early day computers as well (people wrote on the paper and got it ‘typed’ with the only but significant difference of editing on the screen, which theoretically meant fewer errors in the final print, but only theoretically). It has only very recently happened that the machine has become an accompaniment of the user in the same way as her lunch box or smart phone are. The question remains how did the typewriter change, or not, the processes of thinking, reading, writing, and reporting. Everyday Technology can mark the beginning of a more systematic tapping into sources to unearth the complex social relationships around these technologies. If modernity is a product of conflictual claim and counter-claim making, then the history of technological modernity should also reflect the same – conflicts between social groups and classes. Arnold says that “there is little evidence of significant cultural resistance to sewing machines” (49), but what about resistance based upon capital and skill? Did the traditional catchment of darzis’ work and clientele suffer because now women started sewing at home (and quite massively, with vernacular magazines publishing essays on how to sew different types of materials) or did the expanding market compensate for it (pp. 50-51)? The competitive clerical job market revolved around the skill of typewriting; what kind of social conflicts did it lead to? Arnold prefers to look at the history of interaction between technology and society through assimilation and acculturation; I wonder if there is more to be said about conflicts and dissonances; to be fair, they are not absent (most directly to be seen in the sections on traffic and roads, 162-64 and 167-71), but not adequately presented either. Based largely on the biases for big technologies, Arnold revisits the temporal divide of technological modernity in India. 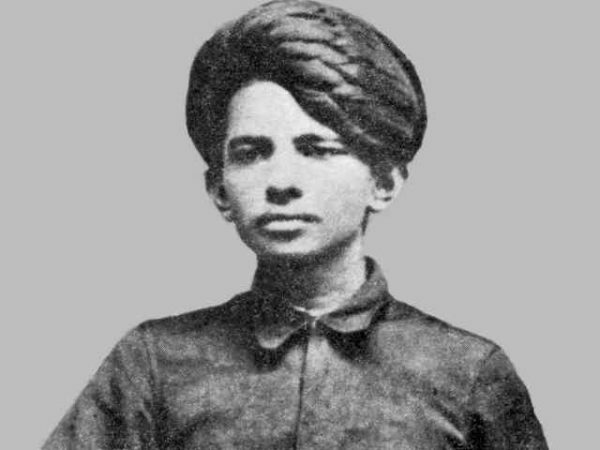 For him, seemingly it was not the period of the 1830s-1850s that saw railways, steamers, and telegraph creating a modern India (a bias that has its obvious origins in colonial claims), but rather the period between 1905 and 1914 – marked by the Swadeshi movement – that constituted the technological watershed. Not only had the influx of everyday commodities started in this period but also the imaginaries of modern India. It is this extensive engagement with technology in both its supporting and opposing viewpoints (ranging between Saha and Nehru on one side and Gandhi on the other), that Arnold sees the constitution of modernity. The study of India’s modernity – derivative or otherwise – is being constantly traced from the times of the ‘Bengal Renaissance’ to that of the railways, Macaulay, census, ghore/bahire, and hybrid Bengali cuisines. Now it has reached the shores of everyday machines, technologies and commodities. If it is a mere addition to the set of ideas on how Indians thought of themselves to be ‘modern’, or a potential new framework that would recast the historiographical thinking, is too early to say. Finally, at least in two ways, this book reverberates with contemporary Indian politics over technology, and the social perception of Indian skill, and thus unwittingly adds an interesting historical layer to it. Foreign capital and the current governmental slogan of ‘Make in India’ are not very far from how American firms like Dunlop promoted their products as “made in India, by Indians, for Indians” (100). There is no dichotomy between nationalistic manufacturing boost that this present government is spearheading (with the logo of the lion) and the inflow of foreign capital. In fact, the mechanical robust lion can only survive with a financial begging bowl in his mouth. Arnold’s treatment of the Swadeshi phase shows historical antecedents. Second, from repairing cycles on street pavements to that of fixing typewriters (and in the current age of unlocking and repairing all sorts of mobile phones), this book tells us that there is a serious history to be told about how India has achieved its worldwide status of ‘jugaad economy’. The production of many a commodity was stifled under colonialism – is this the reason that the skill got channelized into fixing, assembling, repairing and selling, but not innovatively producing? Nitin Sinha, Senior Research Fellow, Zentrum Moderner Orient, Berlin (nitin.sinha@zmo.de). The mysterious death of Loitam Richard in Bangalore, the murder of Ramchanphy Hongray in New Delhi, the suicide by Dana Sangma and other such incidents serve as reminders of the insecure conditions under which people, particularly the young, from the north-east of India have to live with in the metros of this country. What these deaths have in common is that the three individuals were all from a certain part of the country, had a “particular” physical appearance, and were seen as outsiders in the places they died. These incidents have been read as a symptom of the pervasive racial discrimination that people from the region face in metropolitan India. Quite expectedly, such an assertion about the existence of racism in India will not be taken seriously; the response will be to either remain silent and refuse to acknowledge this form of racism or, fiercely, to reject it. Ironically, most Indians see racism as a phenomenon that exists in other countries, particularly in the West, and without fail, see themselves as victims. They do not see themselves harbouring (potentially) racist attitudes and behaviour towards others whom they see as inferior. But time and again, various groups of people, particularly from the north-east have experienced forms of racial discrimination and highlighted the practice of racism in India. In fact, institutionalised racism has been as much on the rise as cases of everyday racism in society. Very recently, in the run-up to the BRICS summit in New Delhi, the Delhi Police’s motto of “citizens first” was on full display, when they arrested or put under preventive detention the non-citizens — the Tibetan refugees. But the real problem for the security personnel cropped up when they had to identity Tibetans on the streets of Delhi. This problem for the state forces was compounded by the fact that Delhi now has a substantial migrant population from the north-east whose physical features could be quite similar to those of Tibetans. So, the forces went about raiding random places in Delhi, questioning and detaining people from the region. North-eastern individuals travelling in vehicles, public transport, others at their workplaces, and so on all became suspects. Many were asked to produce their passports or other documents to prove that, indeed, they were Indian citizens and not refugee Tibetans. In some cases, “authentic” Indians had to intervene in order to endorse and become guarantors of the authenticity of the nationality of these north-easterners. The situation became farcical and caught the attention of the judiciary reportedly after two lawyers from the region were interrogated and harassed. The Delhi High Court directed the Delhi police not to harass people from the north-east and Ladakh. How much easier it would have been for the Delhi Police, if only citizenship and physiognomy matched perfectly. But should one expect otherwise from these state and public institutions, given the fact that racism is rampant at the level of societal everyday experiences? For north-easterners who look in a particular manner, everyday living in Indian cities can be a gruelling experience. Be it the mundane overcharging of fares by autoricksaw- wallahs, shopkeepers and landlords, the verbal abuse on the streets and the snide remarks of colleagues, friends, teachers, or the more extreme experiences of physical and sexual assaults. It is often a never-ending nightmare, a chronicle of repetitive experience. One also wonders if racial attitudes, if not outright racism, influence many more aspects of life than one imagines. For instance, whether there is any racial profiling of employment opportunities, given the concentration of jobs for north-easterners mostly in the hospitality sector, young women in beauty salons, restaurants and as shop assistants. Of course, racism is difficult to prove — whether in the death of Richard or in the case of harassment of a woman from the north-east. And it should not surprise us if racism cannot be clearly established in either of these cases because that’s how racism works — both the visible, explicit manifestations as well as the insidious, unseen machinations. Quite often, one can’t even recount exactly what was wrong about the way in which a co-passenger behaved, difficult to articulate a sneer, a tone of voice that threatened or taunted, the cultural connotations that can infuriate. How does one prove that when an autorickshaw driver asks a north-easterner on the streets of Delhi if he or she is going to Majnu ka Tila, a Tibetan refugee colony, that the former is reproducing a common practice of racial profiling? This remark could be doubly interpreted if made to a woman from the region — both racial and gendered. How do I prove racism when a young co-passenger on the Delhi Metro plays “Chinese” sounding music on his mobile, telling his friend that he is providing, “background music,” sneering and laughing in my direction? And what one cannot retell in the language of evidence, becomes difficult to prove. Racism is most often felt, perceived, like an invisible wound, difficult to articulate or recall in the language of the law or evidence. In that sense, everyday forms of racism are more experiential rather than an objectively identifiable situation. Of course, every once in a while, there will be an incident of extreme, outrageous violence that is transparently racial in nature and we will rally around and voice our anger but it is these insidious, everyday forms of racial discrimination that bruise the body and the mind, build up anger and frustration. Fighting these everyday humiliations exhausts our attempts at expression. If one is serious about fighting racial discrimination, this is where rules must change — by proving to us that in Richard’s death there was no element of racism. Given the pervasiveness of racism in everyday life, why should we listen when we are told that those who fought with him over a TV remote were immune to it? To recognise that racism exists in this country and that many unintended actions might emanate from racism can be a good place to start fighting the problem. To be oblivious of these issues or to deny its existence is to be complicit in the discriminatory regime. Also, the reason for fighting against racism is not because it is practised against “our” own citizens but because it is wrong regardless of whether the victims of racism are citizens of the country or not. One way to be critical of racism is to recognise and make visible the presence of racism rather than merely resorting to legalistic means to curb this discrimination. AS A student of anthropology in Calcutta in the 1950s, I was recommended a book written by the well-known physical anthropologist, M.F. Ashley Montagu, some of whose other works we also had to study. The book to which I now refer was entitled “Man’s Most Dangerous Myth: The Fallacy of Race”. Ashley Montagu had overstated his case somewhat, but the basic point he was making, that the widely-used concept of race was politically pernicious and scientifically anomalous, had come to be generally accepted among anthropologists by the middle of the 20th century. Some anthropologists attended to the political mischief caused by the idea of race while others exposed its scientific ambiguities. The most notable among the latter was Franz Boas, widely regarded as the father of American anthropology. In his book, “Race, Language and Culture”, he established conclusively with a wealth of empirical material the distinction between race which is a biological category with physical markers and social groupings based on language, religion, nationality, style of life or status. Boas’s conclusion may be regarded as the settled opinion on the subject among professional anthropologists the world over. “Race, Language and Culture”, published in 1940, was the culmination of systematic and painstaking research by two or three generations of anthropologists. In the 19th century, when anthropology was still largely an amateur pursuit, the concept of race was widely and loosely use to cover virtually every kind of social grouping. One read about the Aryan race, the Semitic race and the Irish race. The influential French writer Count Gobineau even proposed that the different social classes in France were composed of different races. In fact, race and class were linked together in Europe even before attempts were made to link race with caste in India. Pseudo-scientific theories of race abounded in late 19th and early 20th century in Europe and America. They made no small contribution to Hitler’s disastrous racial policies in Germany. Although the English, the French and the Americans adopted a self-consciously virtuous attitude after 1945, they too produced an abundance of pseudo-scientific theories of race before World War II. At about the same period of time, the Indian Civil Service counted a fair number of amateur anthropologists in its ranks. Some of them have left behind valuable accounts of the tribes and castes in India. Others took an interest in race that at times amounted to an obsession. The obsessive ones found evidence of race wherever they looked. Their main confusion was between race and language, and they wrote freely about the `Aryan race’ and the `Dravidian race’. Some treated Hindus and Muslims as belonging to different races, and others expressed similar views about the upper and the lower castes. These views, based on a confusion of categories, are now regarded as worthless from the scientific point of view. It is not as if there was no serious scientific effort by the ICS anthropologists to study the racial composition of the Indian population. Several of them attended to the problem with patience and care, combining the study of physical features with that of social customs. The most notable was Sir Herbert Risley who produced a comprehensive classification of the races of India into seven types. But the principal `racial types’ in his classification – Aryan, Dravidian, Aryo-Dravidian and Mongolo- Dravidian – were linguistic or regional categories in disguise and not racial categories at all. The subsequent classification by B.S. Guha, made in connection with the census of 1931, was less ambitious, for it did not speak of `racial types’ but only of `racial elements’ in the population of the country. In the mid-1950s when I was a student of anthropology, most anthropologists had lost interest in the racial classification of the Indian population. Although there were many different racial elements in it, it was difficult, if not impossible, to sort them out into distinct racial groups. In the 1970s, I took some initiative on behalf of Oxford University Press to update Guha’s work on racial elements. I approached a number of physical anthropologists, but they either declined or said that they would do it but failed to deliver. I am now convinced that identifying the races in the population of India will be an exercise in futility. Despite all the hard work done by anthropologists from Boas onward, the idea of race dies hard in the popular imagination. That is understandable. What is neither understandable nor excusable is the attempt by the United Nations to revive and expand the idea of race, ostensibly to combat the many forms of social and political discrimination prevalent in the world. It is sad but true that many forms of invidious discrimination do prevail in the contemporary world. But to assimilate or even relate them all to `racial discrimination’ will be an act of political and moral irresponsibility. Not content with condemning racism and racial discrimination, the U.N. now wants to take on `racism, racial discrimination, xenophobia and related intolerance’. It has in its wisdom decided to expand the meeting of racial discrimination to accommodate exclusion or preference `based on race, colour, descent, or national or ethnic origin’. In doing so it is bound to give a new lease of life to the old and discredited notion of race current a hundred years ago. By flying in the face of the distinctions between race, language and culture, it is seeking to undo the conclusions reached by the researches of several generations of anthropologists. Interested parties within and outside the U.N. would like to bring caste discrimination in general and the practice of untouchability in particular within the purview of racial discrimination. The practice of untouchability is indeed reprehensible and must be condemned by one and all; but that does not mean that we should now begin to regard it as a form of racial discrimination. The Scheduled Castes of India taken together are no more a race than are the Brahmins taken together. Every social group cannot be regarded as a race simply because we want to protect it against prejudice and discrimination. In the past, some groups claimed superior rights on the ground that they belonged to the Aryan race or the Teutonic race. The anthropologists rejected such claims on two grounds: first, on the ground that within the same human species no race is superior to any other; but also on the ground that there is no such thing as an Aryan race or a Teutonic race. We cannot throw out the concept of race by the front door when it is misused for asserting social superiority and bring it in again through the back door to misuse it in the cause of the oppressed. The metaphor of race is a dangerous weapon whether it is used for asserting white supremacy or for making demands on behalf of disadvantaged groups. If discrimination against disadvantaged castes can be defined as a form of racial discrimination, there is no reason why discrimination, real or alleged, against religious or linguistic minorities cannot be phrased in exactly the same terms. The Muslims and other religious minorities will claim that they too, and not just backward castes, are victims of racial discrimination. The initiative taken by the U.N. is bound to encourage precisely that kind of claim. The U.N. initiative will open up a Pandora’s box of allegations of racial discrimination throughout the world. The latitudinarian attitude of the U.N. will encourage religious and other `ethnic’ minorities to make allegations of racial discrimination not only in India, but everywhere. The Catholics in Northern Ireland can claim that they too are victims of racial discrimination. The French Canadians, whose grievances are real enough, can also make the same claim. One can multiply examples from every corner of the world. By treating caste discrimination as a form of racial discrimination and, by implication, caste as a form of race, the U.N. is turning its back on established scientific opinion. One can only guess under what kind of pressure it is doing so. Treating caste as a form of race is politically mischievous; what is worse, it is scientifically nonsensical. Don’t worry, black people! This is how we treat everyone who is not a savarna Indian male. Masonda Ketanda Olivier’s brutal murder, 15 minutes before his birthday, has been all over the news. But Olivier’s death is only one in a string of attacks on black people in India. On May 29, six more black people hailing from Uganda, South Africa, and Nigeria were attacked in Mehrauli in three different incidents. The alleged motivation for these attacks is that the victims committed the crime of playing loud music and drinking publicly, privileges that are apparently only reserved for rich South Delhi boys in SUVs with “Jatt Pride” and “Gujjar4Eva” stickers. Earlier this year, a mob in Bengaluru brutally attacked and stripped a Tanzanian woman because she happened to be driving down a road where a Sudanese man had run down a local half an hour prior. Different gender, different nationality, no relation to the accident, but I guess when you’re a mob looking for someone to lynch, being black is crime enough. Anti-blackness has always been a problem in India, but in typical desi fashion, it’s something we’d rather sweep under the carpet. After the Bengaluru attack, one DailyO columnist claimed it wasn’t racist because, basically, we’re not white so we can’t be racist. The Minister of State for Culture and Tourism Mahesh Sharma dismissed Olivier’s murder by saying “even Africa is not safe”, a statement so blasé that it makes me wonder if he’s actually human. And when envoys to India from 42 African nations protested the racist violence by boycotting Africa Day, Sushma Swaraj responded by saying that the government is launching a sensitisation programme to reiterate that such “incidents embarrass the country.” That’s right. Racist violence isn’t the problem here; it’s the fact that such headlines might besmirch the government’s India Shining 2.0 narrative. Meanwhile, in a time-honoured tradition, Delhi residents lay the blame squarely at the victims’ feet because they disregard “local culture”, something Indians neverdo when they’re abroad or even visiting other parts of the country. 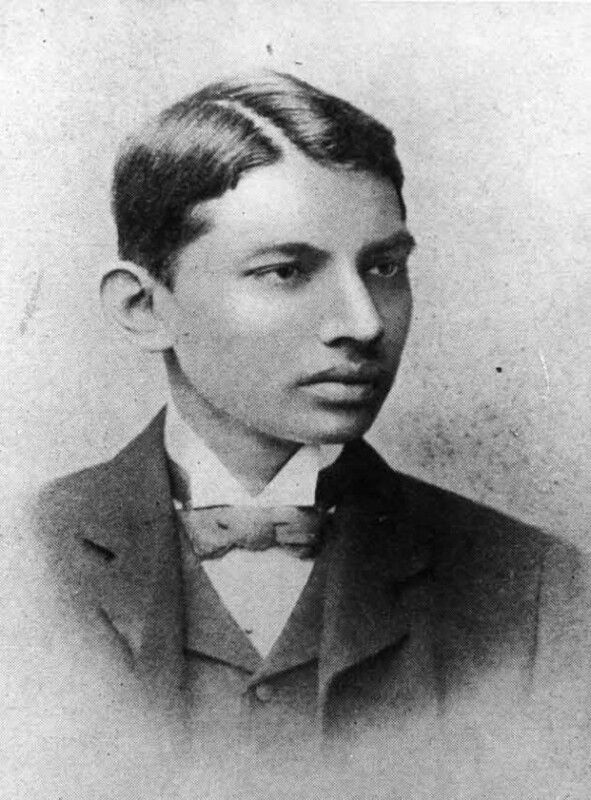 Anti-blackness is so pervasive in our society that even Gandhi in his early years was a proponent, separating the South African Indian community’s struggle for freedom from that of the Zulus and writing that “about the mixing of the Kaffirs (blacks) with the Indians, I must confess I feel most strongly.” Much of this relates to a historical identification with European – and later American – elites, as Indians dealt with the experience of colonisation by pretending that at least they’re higher up the ladder than blacks. For Indians who continue to aspire to be counted alongside the largely white elites of the first world, internalising the racist attitudes of that elite is only natural. Combine this with our indigenous form of “colourism”, inspired by the caste system and the association of fair skin with Brahmins and other upper-caste elites, and you’ve got a country that treats darkness like a disease, at best. At its worst, it leads to dehumanisation and eventually, violence. Much of the blame for this lies with Indian pop culture and media, which have consistently reinforced such toxic ideas in the Indian mainstream. Enough has been written about fairness cream ads and the colourism they promote, but I feel compelled to mention Pond’s 2009 epic in five parts “White Beauty”, which features an artificially “darkened” Priyanka Chopra’s struggle to win back her ex-beau Saif Ali Khan from a much fairer Neha Dhupia. Then there’s the series of ads for Parle’s LMN drinks, which feature black men in loincloths in the desert trying their best to get a sip of water, a perfect example of egregious racism that didn’t generate a tenth of the outrage the recent Coldplay video did. 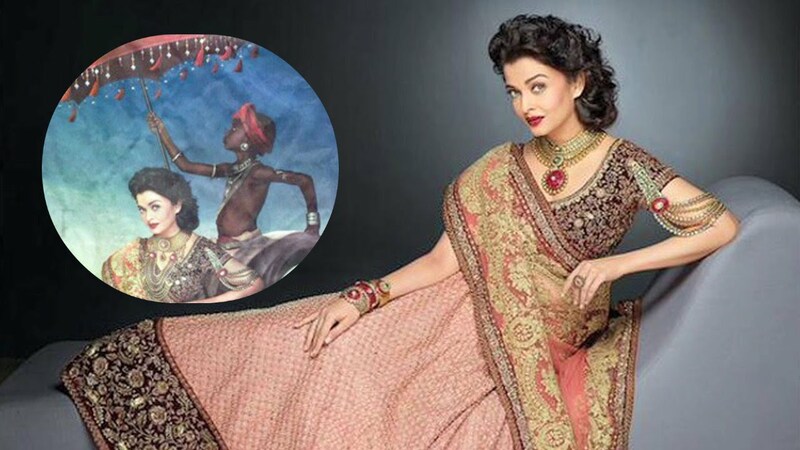 But these would all be outdone by Aishwarya Rai Bachchan’s print ad for a jewellery brand that featured her decked up as a white colonial aristocrat under a red parasol held up by an emaciated black child. Racism, colonial aspirations and an endorsement of child-slavery, all rolled up into one particularly offensive package. Well done, Ash. It is perfectly acceptable to use Snoop Dogg to lend authenticity to Bollywood rap songs and shamelessly rip off black music for decades, even as we use black stereotypes for slapstick punch lines. To be fair to our advertising industry, they’ve been late-comers to the racism game. Bollywood, as ever, has been the pioneer. Whether it’s the routine use of darker-skinned – and more recently, black – actors as nameless thugs, the ignorant stereotyping of Africans as primitive tribals, or the persistent use of “blackface”, our film industry pulls no punches. I’m not sure how the racist American minstrel tradition of blackface made its way to Bollywood, but you can see it in songs like Mr India’s “Hawa Hawai”, and the incredibly offensive video for Vishwatma’s “Saat Samundar Paar”. More recently, there’s the National Award-winning Fashion, in which Priyanka Chopra plays a model whose descent into drugs and depravity finally hits rock bottom when she wakes up one morning next to *gasp* a black man! (Co-incidentally, Priyanka would go on to star in Quantico and complain about the racism she faced in the US. Of course.) And no discussion of racism in Indian cinema will be complete without this horrendous over-the-top scene from 2000’s Hadh Kar Di Aapne, which is more racist than a KKK rally. I can’t explain this one, you’ll just have to watch and then fight the urge to hunt down and kill everyone involved with this scene. This knee-jerk racism hasn’t, of course, stopped us from appropriating black culture when convenient. It is perfectly acceptable to use Snoop Dogg to lend authenticity to Bollywood rap songs and shamelessly rip off black music for decades, even as we use black stereotypes for slapstick punch lines. Even in articles deploring such racism, our media uses the grossly inaccurate coinage “African nationals”, reducing a racially and culturally diverse continent to one skin colour. And before you pat yourself on the back for being more enlightened than that, let me point out that your supposedly liberal social circle isn’t much better. My Facebook feed is full of people making fun of contemporary African American Vernacular English (AAVE) slang like “bae” or “on fleek”, even as they happily use words like “cool” and “hip” – which also come from black American culture, but have been sanitised by decades of white usage. Then there’s the electronica producer I know from Delhi, who regularly used to bring hashish back to Bombay to sell to his fellow students. He was trying to defend the 2014 raids on Khirki Extension’s black residents by AAP’s Somnath Bharti, who accused them of running a drugs and prosecution racket. This supposedly “culturally literate” producer told me that the raids were warranted, because whenever he and his friends called for coke at their parties – usually playing techno, a style of music with origins that are decidedly black and political – it was always a black dealer who turned up. Bravo, my friend! I couldn’t dream up a better example of Indian racism and hypocrisy if I tried. The reason I’m going on about this is that accepting our racism problem is the only way we will begin to think about solving it. Our unwillingness to acknowledge this racism (one of my cousins explained his attitude by resorting to that oldest of racist apologetics – genes) means that this violence is only likely to grow worse. But, as this online webcomic points out, there is a bright side. As India grows increasingly intolerant, our treatment of black people increasingly aligns with the way we treat other India’s disenfranchised minorities. Don’t worry, black people in India! We’re only treating you as we treat the rest of us. At least those that aren’t privileged savarna males. Bhanu Kappal: Bhanuj Kappal writes about music, culture, and anti-nationals. After doing a bunch of odd jobs in the culture industry, he’s now decided to be a freelance journalist, and live at the mercy of newspapers’ accounts departments. Will write for food. Kancha Ilaiah is controversial due to his views on Indian, and more specifically Hindu society as well as its history – both of which are very bizarre. Kancha Ilaiah is the epitome of what one can call a controversial scholar, although the ‘scholar’ part can be debated. Nevertheless his book ‘Why I am Not a Hindu: A Sudra Critique of Hindutva Philosophy, Culture and Political Economy’was listed as a millennium book by one of the country’s leading newspapers, “The Pioneer”. He is at present serving as Director of the Centre for Social Exclusion and Inclusive Policy at Maulana Azad National Urdu University (MANUU) in Hyderabad. Previously he served as an associate professor in the Department of Political Science at Osmania University. The things that make Ilaiah controversial are his views on Indian, and more specifically Hindu society as well as its history – both of which are very bizarre. He is an intellectual inspiration to many Dalit associations like the Ambedkar Students Association (ASA) and the Ambedkar Periyar Study Circle (APSC) whose members promote his ideas, calling for a civil war which will lead to the demise of Hinduism itself. 1. Through the pages 88-95 of his book‘Why I am Not a Hindu’, in the chapter titled ‘The Brahmanical Gods And Goddesses’, Professor Ilaiah explains how all Hindu gods have made the subduing of Dalits their primary purpose. While Brahma is a light-skinned Aryan, Vishnu is coloured blue to represent the mixed race that might have emerged out of the cross-breeding between white-skinned Aryans and dark-skinned Dravidian Dalit-Bahujans. Certainly the creation of the images of Shiva and Parvathi was instrumental in creating a consent base among the tribals….These two images were successfully used to subdue the tribals. Most scholarly works penned by the likes of RC Majumdar and PV Kane are of the view that Hinduism is a synthesis of indigenous tribal practices and belief systems which were incorporated over a long period of time. One wouldn’t have been surprised if these statements were made during the late 19th or early 20thcentury India by colonial historians who gave rise to the Aryan Invasion Theory. But it is disappointing to see a scholar who prides himself as an Ambedkarite making such points since Dr Ambedkar himself debunked the Aryan-Dravidian school of thought in a scholarly manner. Among ‘upper’ castes, when a woman dies, if a man weeps loudly, such a man is said to be unmanly. It is quite hard to believe that people will be concerned with someone’s manliness during a moment of personal grief. One can clearly find many cases in the past and present where ‘upper-caste’ men expressed their grief quite openly at the loss of a dear kin. It is unusual and peculiar to see one demarcating emotional reactions on the basis of caste. The Mahabharatha narrative itself was built on a very strong Kautilyan imagination….The hundred Kauravas stood against brahminical dharma and represented Dalit Bahujans, the majority; whereas the five Pandavas stood for brahminical dharma and represented the brahminical minority. Now of course one has the right to interpret an epic in any manner he/she wishes to but the said interpretation needs to be based on proper citations.Most readers of the Mahabharata know that the said war pits two branches of the same family against each other. The opponents practised the same religious tradition, resided in the same area, spoke the same language and shared the same ethnicity. So Professor Ilaiah needs to state how he saw the war as Dalits vs Brahmins. ..The Brahmins needed to project a person who could rebuild a consent system to contain the Yadava revolts. The Brahmins created an image of one who was said to have been born and brought up among the Yadavas themselves. They worked out the strategy of creating a Krishna who was born in a Kshatriya family and brought up in a Yadava family. The young Krishna grows up in a Yadava culture, but the political Krishna never identifies himself with Yadava culture. In no single incident did he stand by the Dalit Bahujans. It did not matter whether his beloved was a Yadava-Radha, or whether the other Gopikas were Yadavas. All his legal wives were Kshatriya women. If Mr Ilaiah had read the Mahabharata he would have realised that Krishna was the son of Vasudeva and Devaki who belonged to the Vrishni clan of Yadavas from Mathura. And his foster-father Nanda was head of the Gokul Mandal which was one of the most powerful branches of Yadavas. Hence Krishna was born as well as raised in a Yadava family, so again Professor Ilaiah has to mention how he came to this conclusion. Also as many students of history should know, in the medieval era Krishna as well as Rama, Shiva and the Devi were used as symbols by the Bhakti poets regardless of caste to oppose social discrimination. That being said Kancha Ilaiah is free to believe in his interpretation. Cremation is an unscientific method of dealing with dead bodies because it leaves no history in the form of fossils…Brahminism must have evolved this practice in ancient India as the Hindus killed several Dalit Bahujans who had revolted against them to destroy evidence of torture and murder…. It seems Professor Ilaiah is unaware that the Buddha himself was cremated and that cremation was a popular practice in the ancient world (unless Ilaiah believes all ancients were Brahmins). Regarding it being scientific one of the most ardent advocates for replacing burial with cremation in the West around the late nineteenth century was Sir Henry Thompson, a surgeon and physician to the Queen Victoria, whose main reason for doing so was that “it was becoming a necessary sanitary precaution against the propagation of disease among a population daily growing larger in relation to the area it occupied”. Now it is better to let scientific experts debate the efficacy of cremation but the view Mr Ilaiah holds that it was done to destroy evidence itself lacks the evidence to back it. Going by that logic, even Buddhism is guilty of destroying evidence. Turning non-Brahmin women into Sanskrit-chanting vegetarians cannot in any way be termed progress. In trying to follow in the path of Brahmins, these women are actually regressing, says Ilaiah. “I liken the Arya Samaj luring these women into their fold to ‘Hitlerite Aryanism’ where women were indoctrinated into Nazi values. Again this sort of statement is a rehashing of the age-old but debunked Aryan-Dravidian school of thought without citing a single credible source. In conclusion Kancha Ilaiah can hold onto any belief he wishes but one must wonder the damage that can be caused by supplanting such racist ideas in academia, where it can have negative consequences. Due to such views, many of the present day ‘Bahujan’ students view Indian history as that of a war between Aryan Brahmins and Dalits which does nothing but engender more conflicts and create more unrest. In Andhra Pradesh and Telangana burnt my effigies, gave condemnation statements and came to my office at the Maulana Azad National Urdu University Hyderabad, under the guidance of IV Krishna Rao, Chairman of the Andhra Pradesh Brahmin Corporation. He is a former chief secretary of Andhra Pradesh. On May 16, about 15 men were sent to my office, apparently by Rao, and they later went and issued false statements of half truths about me in Telugu news papers. These men, claiming to be Brahmins, made calls to my office and threatened that they will do to me what Parashurama of their ancestry had done to the kshatriyas with his powerful axe. The story of Brahmin Parashurama killing hundreds of kshatriyas in a mythological story is not so well known. But it is a dreadful story. 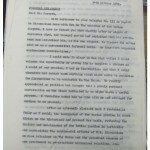 A case was filed against me at Saroor Nagar Police Station of Hyderabad under IPC sections 295A (deliberate and malicious acts, intended to outrage religious feelings of any class by insulting its religion or religious beliefs), 153A (promoting enmity between different groups on grounds of religion) and 298 (uttering, words, etc. with deliberate intent to wound the religious feelings of any person) on May 26, 2016. However, forming a militant Brahmin caste associations is a new phenomenon, after the Bharatiya Janata Party came to power at New Delhi in 2014. The trend gets expressed where even the regional parties are in power. This militancy of Brahmins as a community has increased in the country threatening the freedom of speech of the nation itself. To this kind of Brahmin aggression, the Dalit-Bahujan, Adivasi organisations, including some of the Left organisations responded by organising counter protests and meetings on subsequent days. At a significant meeting organised at the Puchalapally Sundarayya Vigyna Kendram on May 21, I released my poem. As I am not Jesus Christ. As I am an Indian shepherd. But, lay down my life for the abused. I know that many Brahmin men, and also some women, have been very angry with me ever since I wrote Why I am Not a Hindu. They think that it is a direct attack on their historical hegemony and control. They are also upset with my books Post-Hindu-India, Buffalo Nationalism and Untouchable God. These books are meant to transform India and I can understand the feelings of Brahmins cutting across their so called political ideologies. Despite Gautama Buddha providing an alternative to the Brahminical set-up, nothing – not even the present democratic set up – has overthrown their hegemony. In fact, the present democratic set- up has given them global visibility, connectivity, cultural arrogance, as no Dalit-Bahujan or Shudra upper caste communities have acquired a grip over English language in the modern market. Their control over Sanskrit, which they defined as their God’s language, also remains unshaken. The Dalit-Bahujan reformers tried all methods but could not shake the Brahminical control in key areas of spiritual, social and economic systems. A time has come where the Dalit-Bahujans should connect to the world on their own, because they cannot be controlled any longer. No nation can survive without the basic production of food, service goods and cultural instruments. 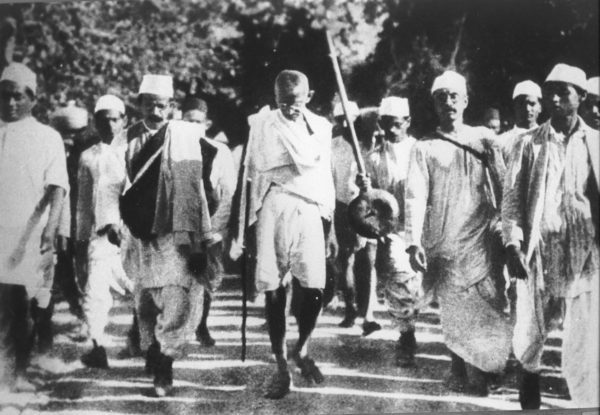 Those who are involved in these occupations do not depend any more on those castes that did not – and do not – do any fundamental productive work. These castes only have hatred towards the productive soil and mud but they consider it a matter of their right that they should take a bigger share of the food that is produced out of the labour of those they look down upon. The productive class needs to begin by adopting names in a language that allows them to connect with each other and thus enjoy social respectability they have been denied. The Brahmins adopted Sanskrit names like Sharma, Shastry, Chaturvedi, Upadhyay and so on. With those Sanskritic names, they established pan Indian connectivity. But the Dalit-Bahujans were left to live without having any dignified names – be it their first, second or last names. They have no pan Indian identity and hence no connectivity between one region and the other, largely because their occupations are known by different linguistic terms. The only way left for the Dalit-Bahujans in the globalised world is to trump Sanskrit with English. Though not many among them are well educated in English language, they must adopt and own English as their language – in all aspects, from their names to addressing God in their prayers. Let their prayers be to a God of equality, as against the Brahmin gods of inequality. The Dalit-Bahujan masses must begin to pray to the Universal God, leaving aside other local or national gods, who are assumed to not to understand English when you worship them in that language. As the Brahmin’s right to worship their god in Sanskrit is accepted, our right to pray to our English-knowing God in English has to be fully respected. Otherwise we must prepare for a show down. No priestly force in the world has said that even God has to live in a particular so-called national borders. Only the Brahmins of India constructed even God or gods as national and are threatening those who believe in The God, who is said to have created the whole universe, as anti-national. This primitive thinking of these forces needs to be fought with all the might at the Dalit-Bahujan command. As a first step in this spiritual and cultural revolution, the Dalit-Bahujan masses must add their present or ancestral occupational names to their existing or new name – but in English translation. As I come from a shepherding family, I have suffixed ‘Shepherd’ to my name. I thought this is the best way to tell the Brahmin: I am now no longer interested in working to reform your spiritual culture. I join the universal brotherhood/sisterhood and remain more nationalist than you by rooting myself in the great productive occupational heritage of my ancestors. You have no business to teach me nationalism. A believer in God of Equality is a better nationalist than those worship gods that breed inequality. The Brahmins did that all along. My ancestors suffered every ignominy because of that inhuman culture. I uplifted their spirits by adding a universally understandable language name to my existing name. Now ancestral occupation is globally notified. The farming communities can become Mr and Mrs Tiller, Dalits can have names like Mr and Ms Cobbler, Tanner, Shoemaker. Thus pot makers can have names like Potter, Iron and gold smiths can become Smith. Thus the marginalised communities could all have English names – from Washerman to Fisherman. In this mode of names, the productive occupation becomes globally respectable and dignified. Our indignity gets washed away by clean waters. Our children at once become globally loveable. Once we shift out of the caste rot and begin to be known by the glorious productive occupation of each one of us, God will love us more, as s/he loves all producers more than people who eat without producing food. A day will come when even the Brahmins of the whole world will come and join hands in turning the mud into food. All our women, irrespective of caste, have suffered and continue to suffer untouchability during menstruation and child birth because of the procreative mud that comes out of their body. They will smile and bring up our children in a healthy atmosphere of equality. The world, then, will be glorious and that is what is known as “The Kingdom of God”. God Bless India. By SAGAR | 25 November 2016 | Sagar is a web reporter at The Caravan. Since 8 November 2016, when Prime Minister Narendra Modi made the unexpected announcement that the government was demonetising notes of Rs 500 and Rs 1,000, the country has been engulfed in chaos. The situation has been worse for those in rural or semi-urban areas: currency notes have taken longer to reach these regions since a sizeable majority of the bank branches and ATMs in India are located in urban areas. In rural areas, both the supply and demand for commodities have reduced, leading to a vicious cycle that perpetuates the absence of liquid cash in the market. The informal economy that is prevalent in these regions too has been disrupted. On 16 November 2016, Sagar, a web reporter with The Caravan, spoke to Kancha Ilaiah Shepherd, a social scientist and political philosopher. During the conversation, Shepherd spoke about the impact of demonetisation on lower-caste communities and labourers of the unorganised sector, the inefficacy of this measure in dealing with black money and its consequence on the economy and the upcoming elections in Uttar Pradesh. Shepherd told Sagar that the most adverse effect of the Modi government’s decision would be on those who are already marginalised. He added that this policy was not as much a crack-down on black money as it was a strike on “black people”—those who spent the entirety of their day on physical labour in the sun. In the government’s move, Shepherd also sees at play a nexus between Brahmins and Baniyas. Sagar: On 14 November 2016, a week after he had announced that notes of Rs 500 and Rs 1,000 would be demonetised, Prime Minister Narendra Modi said that the corrupt were upset while the poor were “enjoying a sound sleep.” Do you agree with this proposition? Kancha Ilaiah Shepherd: No. After Prime Minister Narendra Modi made his so-called surgical strike against the so-called black money, the bullets first hit the mass labourers, the Dalits, the tribal people and other poor people in the deeper hill and forest regions. The poor are not enjoying a sound sleep as the prime minister would like to believe. My feeling is that a white Modi has made the people black, not the money. See, by the midnight of 8 November, the masses in tribal areas, the Dalitwadas [Dalit settlements] and many houses far away, had just one note of Rs 500 or two, which they got because of labour, because of some sale in the market. The next day, they were supposed to buy salt, oil, some medicine, something. Suddenly, the note gets devalued. Now where should they go? They don’t know banks. They have never seen a bank in their lives. A majority of those in under-developed areas across India have never seen a bank in their lives. Many of them are located far away from banks, at least 20 or 30 kilometres. Most people in rural India would have heard about the news only by the evening of 9 November, if not later. So now, they had to start for the bank that evening. On 10 November, they must have had to run to whichever bank was the closest, but there was no money there. Money had not reached several banks. So what became black then? See, the black-money hoarders would have to have at least Rs 20 lakh, Rs 30 lakh, Rs 1 crore. I don’t think such hoarders exist in tribal areas or Dalitwadas. These hoarders exist in areas with people from upper-castes, in urban areas, in the best world-class houses. So on 9 and 10 and 11 [November]—their days were going very well. So who was hit by this black money surgical strike? People became almost black money the next morning. They had to run to banks that they did not know. It was not just the Dalits who were running to banks, it was black people who had worked all day in the sun—they had to run to banks. But most labourers in India are Dalits and also black in colour. It was black people who worked all through the day in the sun. They had to run to the bank. This was the greatest tragedy of this nation in its living history. So it is white Modi and white Mohan Bhagwat [of the RSS] versus black people. You see, how white Modi looks on the screen. I don’t know whether he paints his face like that or whether he is actually that white. I’ve not seen a prime minister as white as him, but the masses who are standing in the long queues for changing a note of Rs 500, having worked all their life in the hot son, are black. Neither Jawaharlal Nehru nor Chandra Shekhar, neither Rajiv Gandhi nor Indira Gandhi were this white on screen. Modi is very white. And the BJP is a very white party. But they made the people black. S: Contrary to Modi’s claims, you’re saying, these people are not “enjoying a sound sleep” while the rich are upset. KIS: What sound sleep? Are they having a sound sleep as they are starving? Did they eat anything on the evening of 9 November? Several households were struggling that evening to procure rations for their children. The migrant labourers, the construction labourers—from Odisha, Bihar, Mahbubnagar [a district in Telangana]. The next day there was no work for them. The contractor did not call them for work because there was no money to pay them with in cash. Most of the contractors have to pay them in cash only. Their money has gotten blocked now. Real-estate people have lots of black money, no doubt. So some real-estate people, I believe, will give the same old notes. But what would people do with those notes. They cannot buy anything. So in the view of the BJP and Modi, is it the money that is black or the people who are black? Then who are the tribal people and the Dalits? In my view, they became black people. Their very life got dirty-fied, as if everything that is black is bad. I’ve not seen any rich people standing in bank queues. Now, the issue is a white Modi versus the black masses. S: Referring in part, to queues such as these, the government has said that while the move is resulting in a “minor inconvenience” it will be beneficial in the long-term. KIS: Is starving and dying a small inconvenience? If so, death is a small inconvenience, people not getting admitted to the hospital and dying is a small inconvenience. Turning away labourers without giving them work, for days, and making them stand in queue to exchange a note of Rs 500 is a small inconvenience. What kind of minor inconvenience is this? It looks like Modi is not a person from the backward-class. A backward-class person would know this is a far more difficult life than that of a black-money hoarder’s. The rich who hoard black money, they ate on 9, 10, 11 and 12 November, but the masses did not. What a small inconvenience this is? S: Modi’s government has sought to justify its enthusiasm for the policy by saying that demonetisation would be effective in cracking down on black money and also affect the flow of funds to terror-related activities. KIS: I don’t know. If terrorism had a link with black money, America would have used a similar policy in recent times too. As would have countries such as France, Britain and Germany. How did Modi economists discover it? And all, these economists have come from America only. America would have demonetised their currency otherwise. Modi has also put forward another argument that there are fake-note printing machines in the country and on the borders of Pakistan and that this step will dismantle the fake-note machinery. I am sure these machines do not exist in the tribal areas and Dalitwadas. Is there no other way to dismantle the circulation of fake notes? Our institutions have already introduced machines that detect fake notes. Why have they not made even our cellphones fake-note detectors? What do these masses have to do with this crime? This is nothing but hyper-nationalism, being used as tool to destroy the life of the poor. S: What do you think then, is the real purpose of demonetisation? KIS: Demonetising money, in my view, has been done for a simple reason: the BJP’s arrogance of majority. Perhaps it does not want the poor to get educated and join the middle-class in the future. Its intentions are not very clear. What is clear is that the BJP has never been a pro-poor party. S: Do you mean the Brahmanical hegemony? KIS: Yes, the BJP’s hegemony and Brahmanical hegemony. One way to look at it is also that this is a Bania strategy. They [Banias] have been under-powered, actually. So this has been done to get them on top all over again. One could notice the Bania-Brahmin competition after Modi came to power. His government is known as a government that is more pro-Bania than it is pro-Brahmin. We will have to wait and see how it plays out. A few industrialists must have been in the know of things, the Ambanis and Adanis. But I don’t know how is this going to help them, because once the purchasing market collapses, how do shops sell—I don’t know. Once the nation crumbles, I don’t know how they will benefit from it. At the same time, because Brahmins do not have a majority of the industrial control now, they are not in favour of the policy either. There is Brahmin industry in software. But the real reign is in the hands of the Banias—manufacturing and distribution. So it is that group that Modi is working with. It is a known fact that Modi has been closer to the Adanis and Ambanis. Maybe that had played a role in his decision. Piyush Goyal [the minister for power] is now speaking more and more. Amit Shah [the president of the BJP] is on roaring course. Goyal is more vocal than [the finance minister] Arun Jaitley is. He has opened up about everything. He is a Bania. So the contradiction has come out clearly. We will have to wait and see. S: How do you see the contradiction that the prime minister, himself from the Other Backward Classes (OBC), is representing a Brahmin party? KIS: He seems to have emerged as a part of the trading Bania-caste over a period of time. So he is a Bania OBC, it looks like that. His roots need to be debated now. Why is he saying that he is an OBC? And then, he is favouring all initiatives that favour the Bania economy. An impression is being created that those from the Shudra upper-castes hoard more black money than the Baniyas and Brahmins. This may open up new contradictions among the Indian rich. Those from the Shudra upper-castes are already asking for reservations and now they will have to think about their corrupt contractor, rich-peasant stigma, even though their wealth is nothing compared to the wealth of the Brahmins and Banias. S: Do you doubt Modi’s identity? KIS: I was happy that he declared himself an OBC and about having an OBC prime minister. But, within two and a half years, I have seen this desperation of economy, this is kind of Bania hunger. [The former prime minister] VP Singh was not hungry for money. Charan Singh was not. Gujral was not. Why is Modi doing this? S: Mayawati, the Bahujan Samaj Party’s (BSP) leader, has said this measure is akin to an “undeclared economic emergency” that targets the poor. Do you agree? KIS: First of all, the masses who are standing in queues to exchange their notes are Dalits OBCs, minorities and tribal people. If the government wished for Dalits and tribal people to not be affected by this, then the Reserve Bank of India should have sent them notes of Rs 100 six months prior to this announcement—a huge amount of notes of Rs 100 in wage distribution, in small salaries or pensions would have taken care of their needs. They should have put notes of Rs 100 in their hands earlier only, even if this would have brought alertness among some black-money hoarders. But they did not do that. Just to justify demonetisation, they deliberately put notes of Rs 500 in people’s hands. This kills all the Dalits tomorrow, the day after tomorrow, and the day after that. How do the Dalits and tribal people survive, how do they buy food or oil for cooking? Mayawati is absolutely right. That’s what I’m saying: Dalits, tribal people, those from the lower-middle class, and even some upper-caste poor have become black now. They have become the black money. S: What kind of impact do you think this policy will have on Dalit women in particular? KIS: You know, women from the lower-middle class are far more distressed than Dalit women in the queues at banks. This is because women from the lower-middle class keep whatever small cash they can, in their own kitty. They may put their money in the folds of their sari—hiding it from their husbands who are drunkards, who misbehave, who do not take care of their family. Now, all these notes have to be changed. This means that their husbands will know about the existence of this money, which will, in turn, create a huge family conflict. Even upper-caste women are saying: “No, I kept Rs 3,000-6,000 hidden from my husband.” This is the big problem. Most Dalit women have problems of feeding their children, attending to their fever and sickness. This is the nature of the tragedy that Dalits and tribal people frequently have to face. Among them, the hiding is not so much from husbands, as their resources are much less than that of any lower-middle class woman. However, there could be such cases among Dalits also. S: In your book Post-Hindu India, you talk of the contributions that Adivasis have made to the culture of food, Dalits to the leather industry, those from OBCs to engineering and shepherds to the meat and milk industry, calling them the productive communities of India. What kind of impact do you think demonetisation will have on these communities? KIS: The immediate impact has been that all work has gotten paralysed. Farmers in villages cannot sell anything in the market now. They cannot get cash, there is no cash in the market. Now, how would money flow into occupations such as these in villages? So, there is a complete collapse of the financial set-up. In the name of bringing black money to banks, the entire financial system has collapsed. This will have an immediate impact on the hard-working working-class across different communities and castes. The loss of a month will now be carried over to the next month again. The farmers are suffering and lorries are not taking grains from the market. Markets have collapsed. How will they work? It is a chain. This chain has been pulled down by the government in one go. For the first time, this crisis did not lead to dysfunction in the lives of those who are in university, colleges and so on. But it has led to complete dysfunction in the markets, from state capitals to rural villages—the vegetable market and the small sahukar market. There are no transactions. S: In an interview in 2010, you had also said that the nexus between the Kshatriyas and the Brahmins has resulted in “anti-production and anti-science.” Do you think a similar nexus is visible in an economic policy that may lead to the market collapse you are referring to? KIS: That nexus has worked quite systematically for long. That is what shapes this economy, creating a huge gap between the rich and the poor, between the Dalits and Brahmins, between the Dalits and the Banias, between those from Other Backward Classes and Banias. During the period of globalisation, that gap has increased multi-fold. The wages and standards of living of the Dalits, tribal people and those from Other Backward Classes have increased a little. But those who travel by air, or in cars and air-conditioned railway coaches—their economic levels are different. The gap between the rich and the poor has increased quite significantly. Those who are pedestrians are still Dalits and tribal people. That is the gap that has come about. This step may further increase that gap in the phase of de-globalisation that is just beginning. Let us see what happens. But the Brahmins and the Banias also have their own contradictions now. There is a view that demonetisation, for example, is a Bania-pushed policy. This view propagates that the Brahmins are not very happy with it and that is why the banking system is not co-operating with Modi and this government. The banking sector is basically run by Brahmins, although there are other reserved categories in it. My view is that the Brahmin-Bania conflict is historical. In a situation like this, it plays its nuanced role but not a brazen role. Only when the total effect of the policy of demonetisation has been examined, would we be able to come to a definitive conclusion. S: The Samajwadi Party and the BSP have alleged that the government took this decision with an eye on the elections in Uttar Pradesh. Do you see any links between demonetisation and the polls in UP? KIS: There could be. Because, two parties definitely knew in advance. One is the BJP—their own prime minister has decided on the policy. If only it were to be done by the Reserve Bank of India on its own—without involving political functionaries—secrecy could perhaps have been assured. When such a step is taken just before the elections in UP, it is difficult to believe that a political agenda was not being considered. The truth about such political leaks will come out only over a period of time. The other party is the Telugu Desam Party, which knew in advance, because Chandrababu Naidu has been asking for the scrapping of higher denomination notes. He was among the few chief ministers who congratulated the prime minister on the night that the policy was announced. Nearly a month before the prime minister’s address on 8 November, Naidu had reportedly written a letter to Modi, in which he had demanded that notes of high denomination be withdrawn. The BJP and the TDP definitely knew in advance. There could be a large amount of money that has been exchanged between different leaders from various parties. Changing those notes will be now be a difficult thing. These parties [the BJP and the TDP] would definitely have made changed notes ready in advance: for election expenditure, distribution and so on. I’m sure if tomorrow, new notes of Rs 2,000 are being circulated widely, they will only go from the BJP in those states. That we can see when the elections start. S: Do you think this exercise will affect black money hoarding at all? KIS: The problem I didn’t understand is that the Reserve Bank of India is saying that the total currency money in circulation is nearly Rs 18 lakh crore. Now, if that’s the circulation money. If you see the central government budget, it’s about Rs 20 lakh crore. And, all state governments put together also propose a budget of at least Rs 24 lakh crore easily. So, if the entire money is black, how can they propose a budget of this proportion—Rs 20 lakh crore central, Rs 24 lakh crore state government. Close to Rs 45 lakh crore is already in the budget proposal, which is more than Reserve Bank of India’s estimate of total cash in circulation. S: Around Rs 25 lakh crore more than the RBI’s estimate. KIS: Yes. So how do they say there is lot of black money. This logic—maybe I don’t know financial dynamics—but this is common sense. If so much black money was there, how come tax returns were coming. How much black money will be there within India? Maybe there is more outside India. The best rural economy, in my lifetime, was during the regime of the United Progressive Alliance, particularly when UPA II was in power. During that period, the rural economy actually boomed. I mean circulation money was more in the rural areas. Even after so many scams, the circulation of money was good during that period: new hospitals came up then, railways improved, airports were built during that time. So where has the corruption money gone? Out vast informal sector is not an easy fish that could be caught by the Harvard-educated economists. This is where even Modi’s economists went wrong. Now, I think, a lot of money from the central government is going to the RSS, BJP and VHP and their other networks. That’s why they don’t find money for central institutions even. Central universities are starving now. During the UPA’s regime, there was no war-like situation. The prime minister was sitting like a bureaucrat. There was no fight with Pakistan. Kashmir was in place. During the regime of the Congress [from 1984 to 1989] too, when Rajiv Gandhi was there, the Sri Lanka problem was created. But in the last ten years of the UPA, I don’t know why, the rural economy in India flourished. Now, with so much GDP show and all, why the rural economy is suffering, I don’t know. Only foreign-educated economists must tell. My economics is only that of the shepherd. There are now slogans of spending money on the army. The slogan is that the army is more important than agriculture. The government would rather spend more money on a standing army that is not at war with anyone. Pakistan is not going to attack us. China is not going to wage a war. So, they have created a war-like crisis. S: Do you think they are using the army to further their own political agenda? KIS: The BJP government may like a military dictatorship in India too, like Pakistan. See, Modi has come through election, but inside, the BJP’s monkey warriors seem to be considering the idea of handing India over to the army. It looks like that, I don’t know. They are putting the army on all fronts. They might just be using them too. Maybe the RSS wants the army to rule India. They do not like that those from the scheduled castes, scheduled tribes and other backward classes becoming more and more empowered. That is a Kautilyan strategy. S: What you think the government should be doing if it wants to curb black money? KIS: There has to be a different policy that doesn’t torture common people like this. For that, all the economists of the country should be called in for a conference and they should be asked to suggest an alternative model. Let the communists and liberal economists give us an alternate model. The Hindutva economists, so far, have not come up with a serious model. The present model is, as a Telugu proverb says, “burning a house to flush out rats.” When you burn a house, the rats may run out, but the livelihood of the family will get burnt too. That is what is happening now. As a man of common sense, I can say that the Indian economy will never be the same again. On the fateful night of 8 November, Modi said that India was being seen as a bright spot by the world. With his most unfortunate strike, it will become the darkest spot in the world. The productive masses have been forcefully brought to the banks even though they do not have accounts, as if they themselves were black-money notes. On 9 November 2016, a bigger bomb than Bin Laden’s aeroplane hit the Indian economy and people. God alone can save India now.